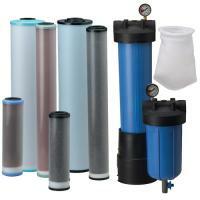 Pentek Water Filters - Ametek Water Filters | Applied Membranes Inc. 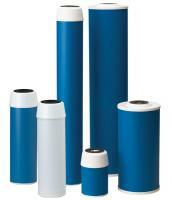 Applied Membrane stocks a large inventory of Pentek (Ametek) Brand Carbon & Sediment Filters. Most items listed are in-stock for same day delivery. Please select a filter category below for information. Pentek Carbon Briquette Filters are highly effective at reducing unwanted tastes and odors, including chlorine taste & odor and other contaminants. GAC & CC Series Granular Activated Carbon filter cartridges effectively reduce unwanted tastes and odors, including chlorine taste and odor, from your drinking water. 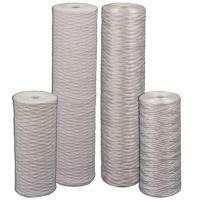 CCBC Filters, made from water-washed coconut-carbon, offer high chlorine taste & odor reduction capacity for use as pre or polishing filters in residential, food service, and commercial applications. Superior Chlorine and Chloramine Reduction: ChlorPlus carbon block cartridges provide greater chloramine performance capacities than granular carbon and also help reduce sediment. Pentek Ametek RFC Series Filters' radial flow design significantly reducing the release of carbon fines commonly associated with GAC-style cartridges. Ametek Pentek NCP Series Filter Cartridges offer Superior Sediment Filtration with Chlorine Taste & Odor Reduction in One Cartridge. Pentek Ametek C Series dual-purpose cartridges filter out fine sediment particles and reduce unwanted taste, odor, and chlorine taste & odor from your tap water. Pentek Ametek P Series Sediment Filters are designed for purity, provide superior chemical resistance and are not prone to bacterial attack. PD Polydepth Filtration Cartridges' thermal bonded micro-fiber construction has minimal fiber release, consistent flow rate and superior filtration performance, and are less prone to breakage. WP-BB and WPX-BB Series string-wound cartridges are manufactured from a durable polypropylene cord that is wound around a rigid polypropylene core. 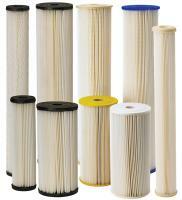 Pentek S1 and ECP Series Pleated Sediment Filter Cartridges for Sediment Reduction in a Variety of Micron Ratings. Pentek R Series feature a versatile, reusable design with superior dirt holding capacity and are suitable for a wide range of filtration uses. Pentek (Ametek) DGD Series Sediment Filters combine selective final filtration with pre-filtration to achieve up to 3 times the dirt holding capacity. 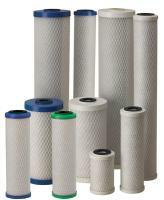 Pentair Water Pentek (Ametek) Iron Reduction Filters, Deionization (DI) Filters, Water Softening Filters, and Bag Filters and Housings. CRE-1 is designed and tested for the reduction of small particles down to 1 micron in diameter, and is ideal for fine sediment filtration applications.